A vehicle bearing a Haryana registration number and other equipment were also recovered from him. Another person, identified as Mahesh Virajdar, was arrested with Randhawa near Motipur range of Katarniaghat, Pandey said. 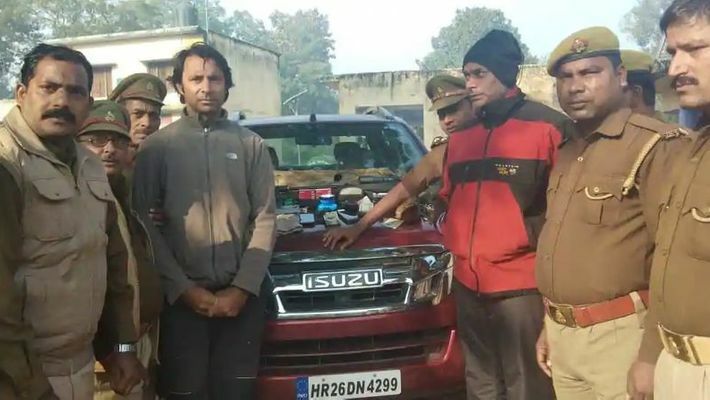 Bahraich (Uttar Pradesh): Ace golfer Jyoti Randhawa was arrested on Wednesday on charges of poaching in the Dudhwa Tiger Reserve protected area in Uttar Pradesh, an official said. A fire arm was seized from Randhawa, whose full name is Jyotinder Singh Randhawa, field officer Ramesh Pandey said. Randhawa was ranked in the top 100 of the official World Golf Ranking several times between 2004 and 2009.